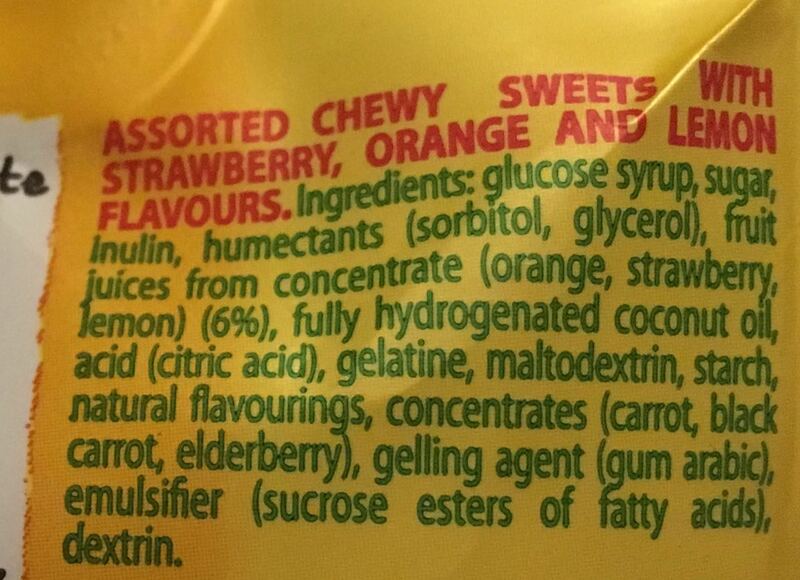 I do like chewy sweets and gummy sweets that have natural ingredients, especially fruit juice from concentrate. 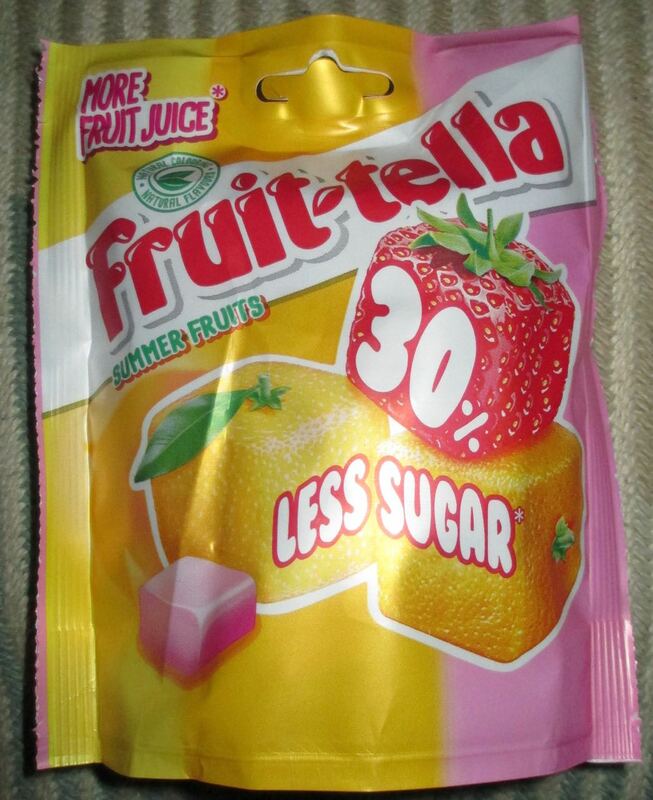 These new Fruit-tella Summer Fruits contain even more fruit juice than past Fruit-tella chewy sweets. They come in three flavours; strawberry, orange and lemon - all of which have juice from concentrate in the ingredients. These chewy sweets also have 30% less sugar, which is better for my ever increasing tummy. There was roughly ten of each flavour in the packet. I decided to try the lemon sweets first, and work my way up to the strawberry. The lemon chewy sweets were light, sweet and with a mild sharpened sour lemon edge at the end of the flavour. The orange chewy sweets were of a slightly stronger initial flavour, having a tangy natural orange taste all the way through chewing. As first assumed, the strawberry chewy sweets were the strongest of the flavours, with a blast of natural sweet strawberries to start with right through to the aftertaste. I thought these Fruit-tella Summer Fruits tasted naturally good for me; healthy, sweet and joyful. Everything needed to cheer me up on a dreary winter's day! The 120g packet has 350 calories per 100g, with 5.6g of fat, 37g of sugar, and 0.03g of salt. 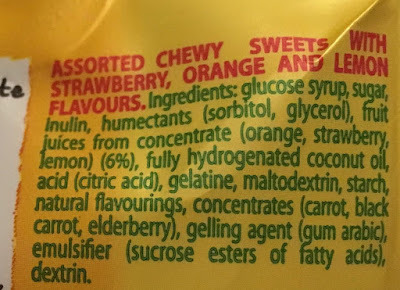 These chewy sweets contain only natural flavours and colourings, and no sweetners. So please see the photograph for ingredients.